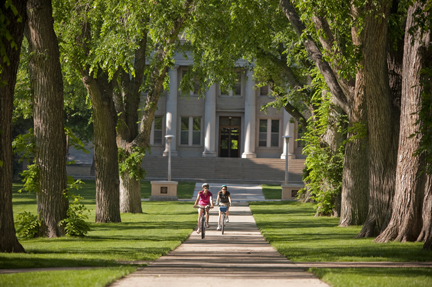 The Alumni Association's mission is simple - to make a lasting and positive impact on the lives of our graduates and strengthen their connection to Colorado State University. We are committed to bettering the lives of our graduates and those connected to CSU. The toolkits within the MindShare Network provide you with an interactive process that can help you thrive in your personal and professional life. Complete the free Happiness Express Toolkit below. The MindShare Network invites you to create a more joyous, positive, and purposeful life. Envision, Execute and Experience your happiest life here. Sign up for a free MindShare Network account to start your “Happiness Express Kit” and gain access to more resources. Spiral Thinking is a simple, yet effective process that creates the power to see your dream future and discover the best ideas while you design a plan to pull the present beyond barriers and obstacles. It is future time oriented, optimistic and mind expanding. It has proven to be highly effective with a wide range of audiences and applications. Use your creativity to discover as many Ideas as possible. Sort, filter and select the very best Ideas that align with your Platform. Plan, Design and illustrate your best ideas. Design with your Platform in mind. Activate your Design plan while always looking back to your Platform. How Does The Toolkit Work?